When you come from a big family, there are bound to be fights. Aside from the usual “that’s mine” or “I didn’t say you could borrow that,” my siblings and I didn’t fight much growing up. We don’t even fight much now that we are adults, but when there is a large fight, it usually involves my two sisters and me. Fast forward to a couple of weeks ago and to the time when I found out my two sisters read one of my blogs and were angry at me, I was heartbroken. Here we were again, a place I swore I would never end up again. I never intended for my blog to be hurtful or insensitive, but that was how they interpreted the post. I unknowingly and unintentionally hurt their feelings. My two sisters and I have gone through a lot of stuff growing up together. Growing up in the 70’s with an alcoholic father, who occasionally would do drugs was scary. Living in a house that was haunted was scary. 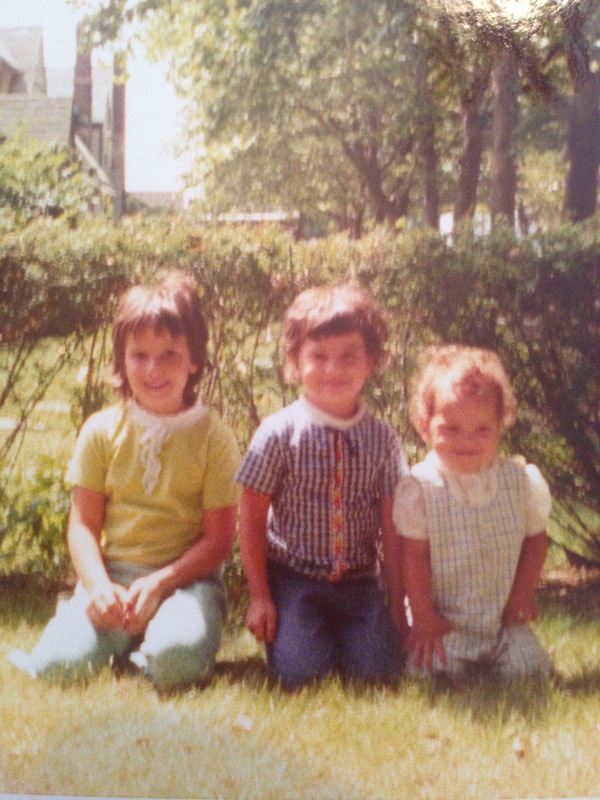 Being the only kids on the block in the 70’s whose parents were divorced was scary. But, I always had my sisters. Now I feel like I don’t have them and that is scary…really scary. Before I left for New York, I was having lunch with my chickens, and as I was sitting across the table from my girl chicken, she said: “They are your sisters, and when your parents are gone, they are all you’ll have.” That was a variation of what I would tell her and her brother all the time when they were little, and they would fight (“Stop fighting with each other, when I’m gone, you will only have each other”), and it was her way of telling me to fix it. As I sat in my car after lunch, I thought of those words my daughter said to me and I started to cry. As the oldest in a family of 5 siblings, I am the fixer. It is what I do. I feel like I have fixed so many things for my family, but this one thing, I don’t know how to fix. I don’t know if they will read this post and I certainly don’t know if they will care. What I do know is as I walk the streets of New York, there are so many things I want to text them and tell them about, but I feel like I can’t. I love my sisters, and I think they are beautifully smart women and I miss them. I don’t know how to fix this one, but I miss them. Gina this really touched me. My sister, who has hurt me in more ways I care to share called me the day after Thanksgiving to say she loves me and misses me! It’s been sixteen years since we’ve hugged or had a conversation. I will see her however cautiously when I visit next month. She saw a pic I made of us and posted on IG and cried. She cautiously picked up the phone and said “Hi, my name is Crystal and I’d like to get to know you”. We are going to have a new start and a new story we will create in our maturity and willingness. I wish you healing love for all concerned. Gina It seems we have many other things in common other than the love of baguettes…your story could be my story at times except my siblings and I never reconciled and now they are both dead. It was not their fault nor my fault but the fault of life and our differences which were so vast that the chasm would and could not be crossed. Both my parents were dysfunctional and now they are dead. I am basically an only child. I wish at time that I had my siblings around to talk to about when we were younger and shared so much. They could correct and edit my version of what I remember. This is not to be. My heart goes out to you sweet Gina. Peace and Love to you.